We regret to report that Walter Vonnegut Jr., known to his family and friends as “Colonel,” died January 9 at his home in Anacortes, Washington. He was 90 years old. Walter was the stepson of Don Marquis and the last living link to the author of “archy and mehitabel.” He was a gentleman, and a friendly soul. Born December 5, 1922, Walter was the son of Walter and Marjorie Potts Vonnegut. His parents divorced in 1926 and soon afterward Marjorie married Don, whose first wife, Reina, had died two years earlier. 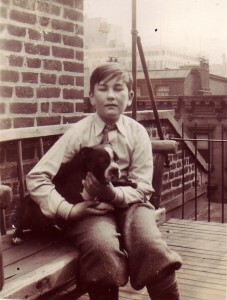 Walter and his older sister, Ruth, lived with Don and Marjorie in a townhouse at 125 East 62nd Street on Manhattan’s Upper East Side, where Walter helped take care of the family’s pet Boston terrier, Pete, whose adventures as “pete the pup” were told in several “archy and mehitabel” stories. The family (including Pete) later moved to an apartment on the Upper West Side, at 276 Riverside Drive. Don taught Walter chess, which they played whenever time permitted. However, Don was often loaded down with work. He had quit writing a daily newspaper column in 1925 but faced constant deadlines for magazine essays and short stories, book manuscripts, playscripts, and, when he was in Hollywood, movie scripts. He was a frequent guest on radio programs and was in high demand as a public speaker. Marjorie was an accomplished actress. Her most famous role was that of Essie Miller in the Broadway premiere of Eugene O’Neill’s “Ah Wilderness!” in 1933. She played opposite George M. Cohan, and Walter also had a role in the production, as young Tommy Miller. Walter was 13 when Don was felled by the first of a series of strokes that left him unable to write. And then, less than a year later, on October 25, 1936, Marjorie died in her sleep after a brief illness. She had worked herself to exhaustion caring for Don and her family while also attempting to run an acting school. Walter’s young life fell apart in an instant. 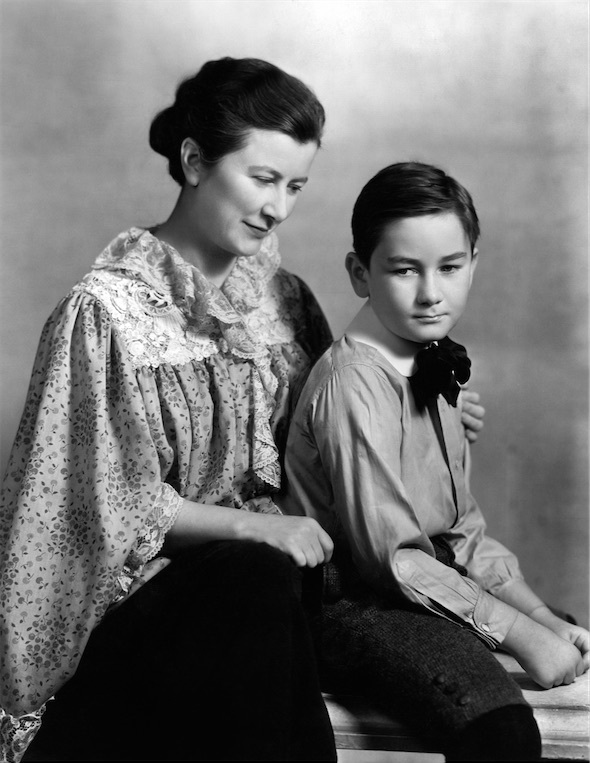 Maude was Don’s older sister, remembered by Walter and virtually all of Don’s friends as bossy and unpleasant. With Marjorie dead and Don unable to care for himself, Maude stepped in and sent Walter away to live with Vonnegut relatives. She vacated the apartment on Riverside Drive and took Don to the home at 51 Wendover Road in Forest Hills, Queens, that she shared with another Marquis sister, Neva. Don was powerless to do otherwise. “He was protesting,” Walter recalled. “He did not want to go. He couldn’t talk, but it was clear to me that he didn’t want to go.” One year later, on Dec. 29, 1937, Don died. Walter’s nickname, Colonel, by the way, had nothing to do with his military service. He was born in Kentucky, and a grandmother gave him that nickname as a “junior Kentucky colonel.” It stayed with him all his life. 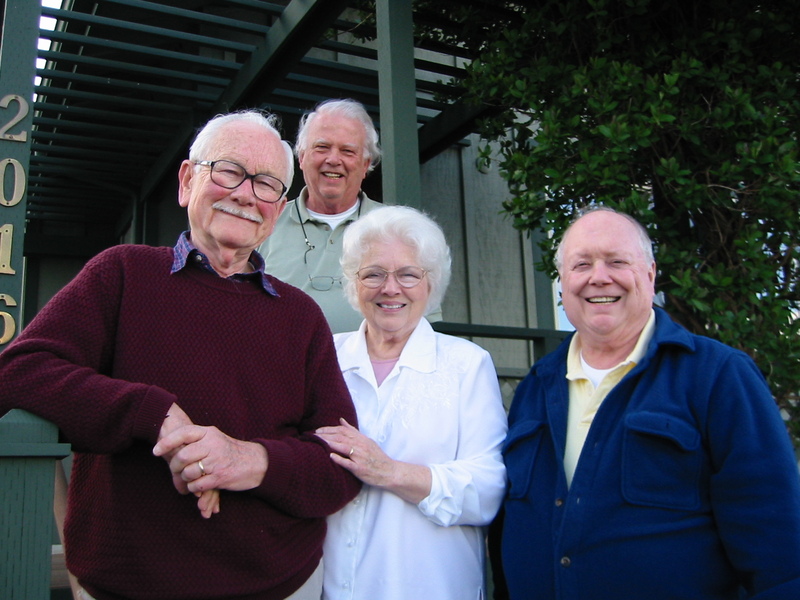 After the war, Walter and his wife Helen moved from Indianapolis to Washington State, where they raised two sons, Kit and Ken. 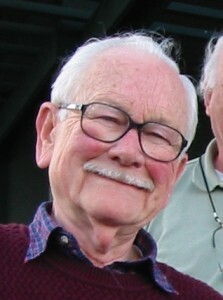 He taught math, English and drama at public schools in Anacortes and was active in local theater productions as a director and actor for many decades. 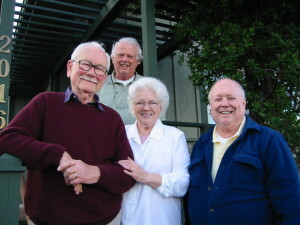 Helen was killed in a car accident in 1994, and a year later Walter married a widow in Anacortes, Jean De Zan, who survives him, along with his sons. May he rest in peace. 1. Walter and Pete on the roof of the Marquis townhouse at 125 East 62nd Street in Manhattan. 2. Walter and his mother on the set of Eugene O’Neill’s “Ah, Wilderness!” in 1933. 3. 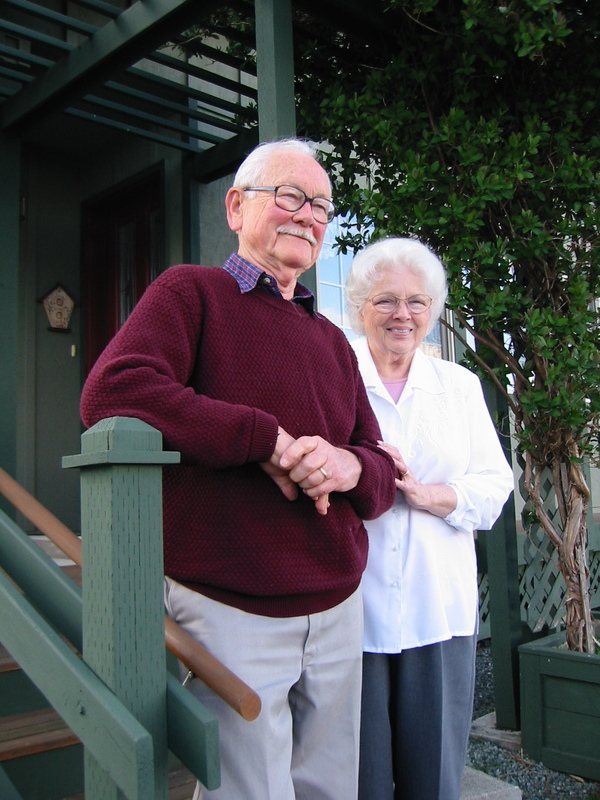 Walter and Jean Vonnegut, outside their home in Anacortes, Washington, in March 2005. 4. 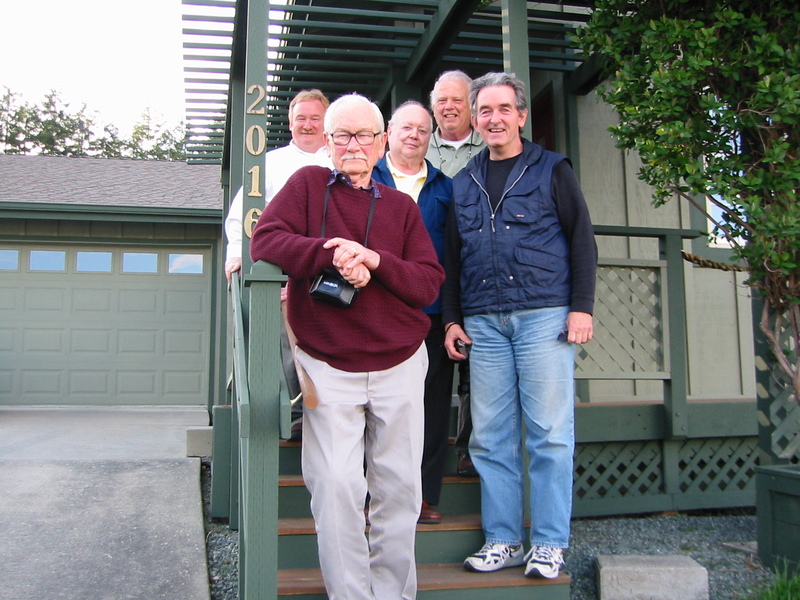 Walter with Robert Lyon, publisher of the 1976 edition of Don’s play “Everything’s Jake”; Jean Vonnegut; and Jim Ennes, a Marquis collector and namesake and the editor of DonMarquis.org, in March 2005. 5. 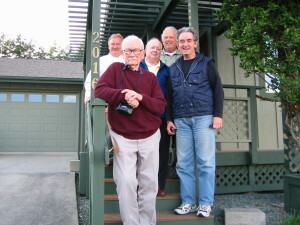 DonMarquis.com editor John Batteiger, Walter, Jim Ennes, Robert Lyon and actor Gale McNeeley, in March 2005.